On a personal level, it feels like someone pushed the “pause” button. Things in the spirit feel like they are on hold or going backward. It certainly doesn’t feel like we’re flowing in a river; more like fighting an uphill battle! The point is that there are seasons in God’s dealings that are both national and personal. They can have a purpose if we understand what’s going on, and they can bear fruit in our lives if we respond to God in a good way. Tests reveal our hearts – The first lesson of a wilderness experience is that when we are “lost” and don’t hear from God, a lot of stuff comes to the surface of our hearts that would otherwise go unnoticed. It’s humbling and confusing, yet at the same time, God continues to supply us with manna – He feeds our spirits and sustains us practically through the season. The test is whether we will give up or not. Some form of suicide is always what the enemy is offering and some do choose it – even Christians. The wilderness is particularly challenging for Kings because they are the ones willing to take initiative, and step out in faith and take a risk. They have to discern whether their enterprise and ingenuity was presumption, because they now need God to intervene. The pressure is very often financial. Lesson learned – The point of testing is that we always need God to intervene. We are always doing the Father’s business – the desire of our hearts is also shared in His heart. The real truth of spiritual warfare is that the closer your heart is to God’s heart, the more you are exposed to the front lines of delay, persecution, rejection and attack. The flip side is that when the tables turn and the Spirit of God comes in like a flood, we are also the closest to breakthroughs in salvations, revival, reformation, answered prayer and financial victories. Once we survive a few of these seasons, we learn to stand firm and expect God to advance the Kingdom and carry His people on the wings of eagles. Even if we have no explanation for events or circumstances, we do understand the nature and faithfulness of our Father and the presence of His Spirit. That’s what sustains us! Yes, but how? – This truth preaches well, but it’s much harder to live. When everything is wrong and our situation is hopeless, we realize that we do not live by bread alone. We don’t live just by our families, homes, finances and jobs. We don’t live by principles, persistence and religious traditions (no matter how Biblical). We live by every living word that proceeds out of His mouth. The bedrock of what keeps us “alive” in plenty and in want is hearing the living word – Jesus. What literally sets us apart in every season is that God goes with us. The Living word – The words and principles of the Bible have no life until they are mixed with Spirit of God. When the Holy Spirit is present, the Bible becomes the only book in the world that reads us. His word is alive and it gives life to us in the midst of a wilderness test. The practical reality is that we need to simply repent and allow the Holy Spirit to play His proper role in breathing life into our deadness. We really do “live” by every word that continually proceeds out of His mouth. His sheep hear his voice. Praying in the Spirit – We have one weapon. 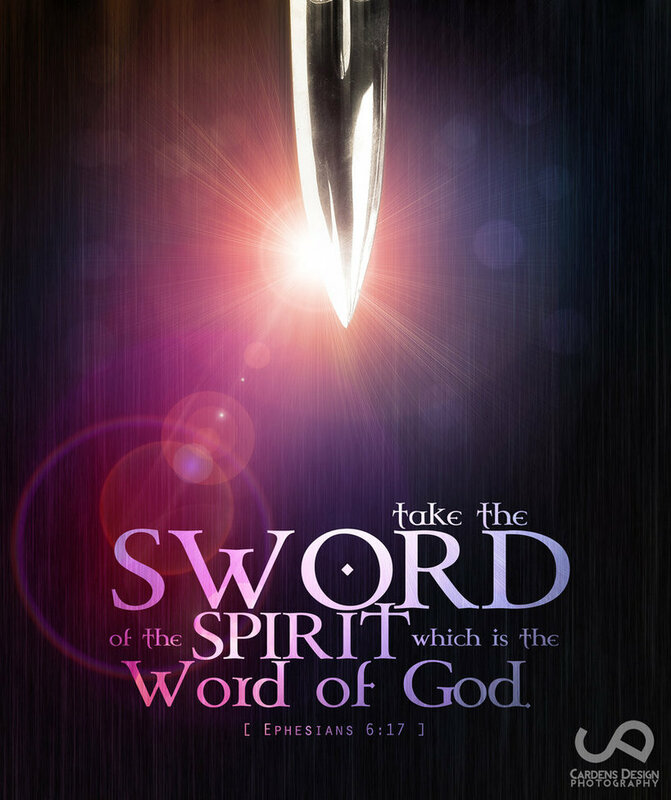 It’s a combination of Spirit and Truth; a sword that is the word of God bathed in prayer. When we don’t even know how to pray (fairly frequently), the answer is allowing the Holy Spirit to pray through us. He does know what to pray, and Jesus is always before the Father interceding on our behalf. Praying in tongues and in every way possible is what opens doors in and outside of our own hearts.